Manufactured from high quality stainless steel. Fully hardened and tempered for long life. Lightweight aluminium/composite handle construction. Push-button locking mechanism secures blade in both open and closed position. Quick change mechanism for easy blade removal/fitting - no tools required. 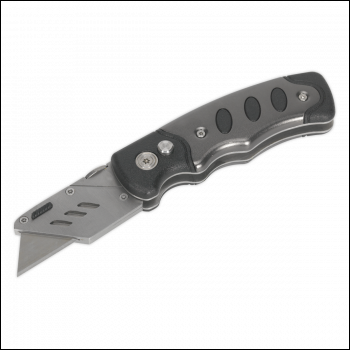 Push-button locking mechanism secures blade in both open and closed position.